General Motors’ Volt—the electric car that could redefine the company—is about to hit the road and now details about its engineering innards are starting to emerge. Make no mistake about it. The Volt is more software and code than anything else. The car, which GM hopes will give it an edge on rivals, has 100 electronic controllers, 10 million lines of software code and its own IP address. A car in the 1980s was roughly 5 percent electronics. The Chevy Volt is 40 percent. GM likens the product development for the Volt to a rocket program. On Monday, IBM and GM outlined Big Blue’s role in the engineering of the Volt. In a nutshell, GM used IBM’s Rational software to design and test the Volt in its 29 months of gestation. IBM got into the automotive design industry two years ago via its acquisition of Telelogic. GM used that technology to develop its cars. With IBM tools, GM developed its algorithms as well as overall tool chain. Meg Selfe, director of embedded systems at IBM, said Big Blue worked closely with GM engineers to develop processes and lend engineering expertise. IBM’s efforts with GM were a separate engagement from its outsourcing deal with the automaker. Self said the partnership on the Volt wasn’t about information technology. The collaboration was all about engineering and embedded systems. IBM helped GM standardize its vehicle design on fewer software tools and used its supercomputers to test Volt battery packs and its 161 components in various conditions. “We can safely say that there’s a 40 percent to 60 percent increase in software code relative to another car,” said Bly. Everything from the thermal management of the lithium battery to make it last eight to 10 years to controls for motors to apps to unlock the Volt all depend on software. IBM’s simulation tools allowed GM to speed up the development time so the project stayed on target even as the automaker worked its way through bankruptcy. 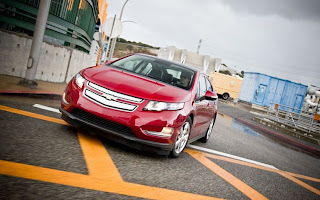 In many respects, the Volt is a system of systems and a massive integration project. GM’s engineering challenge is to hide the Volt’s complexity so the driver just has a fun experience. Bly said that GM’s differentiators will come from the technology behind batteries, motors and controls. The rub: You won’t notice those items unless something goes wrong. GM is hoping Volt owners won’t ever need to delve into the software behind the car.